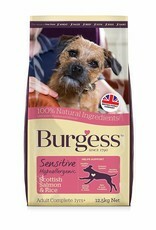 Burgess Sensitive Scottish Salmon is a complete dry food for adult dogs that is ideal for dogs with a sensitive digestion. 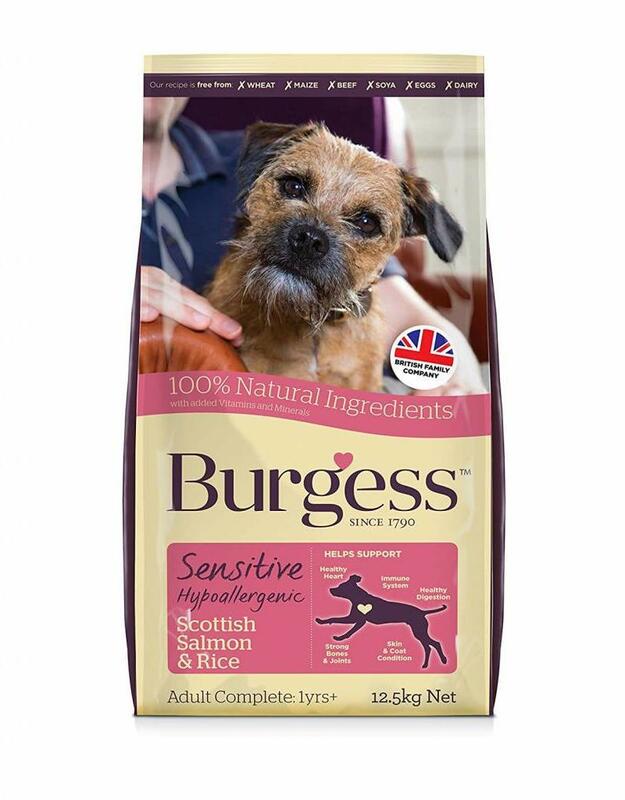 The food has been developed to be free from wheat gluten, maize, eggs and dairy products and is made with Scottish Salmon and Rice, for better, easier digestion. Rice (min 26%), salmon (min 26%), chicken meal, unmolassed beet pulp, poultry fat, digest, fish oil, salt, dicalcium phosphate, minerals.